Whether your school stage is big or small, we are able to manufacture and install all types of typical stage treatments. 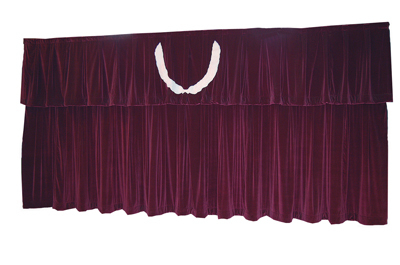 All of our drapes are made using 100% cotton velour fabric that is treated for flame resistance. We can match your school colors. We manufacture and install all types of typical window treatments. Our curtains are made using the latest fabrics and styles and are treated for flame resistance. We provide matching coordinates and bedspreads.